Joe Branham discusses his upcoming book and offers a peek into some of the topics that will be covered. As some of you may or may not know, John Morin and I have signed a contract with Wild River Publishing to co-author a book on Classic Saltwater Flies. John has been after me for quite a while to do this project with him and I finally relented and agreed to do it. This is quite an undertaking and should be a very nice and informative book that will deal with not only the evolution of flies and fly tying for the salt but with the actual history of fly fishing in the salt. Over time, I have put on this site numerous flies that are considered classics and will continue to do so. Ken Bay has given me so much information on some of these flies and the people that tied them, that I can never thank him. When John and I first talked about this project, we had to determine exactly what a "Classic" fly was. I conferred with Lefty Kreh and this is what we came up with: The fly should have been used by numerous people, in numerous locations to catch a variety of fish. This sounds reasonable until you really think about it and you see that it leaves out numerous patterns that should be considered a "Classic". Two of the major problems were that some of the flies were area specific and some of the flies were almost species specific. The best example of this that I can think of is the "Crazy Charlie". This pattern is almost species specific but has been the mainstay for bonefish since is origination. Taking everything into consideration, John and I decided that although some of the flies are area and species specific, that we would include as many of the flies as possible. The other criteria that we had to establish was a time frame to separate what we are calling the "Old" and "New" classics. While talking with Lefty about this, Lefty stated that 1980 seemed to be the turning point for saltwater fly fishing and fly tying. 1980 seemed to be the point that saltwater fly fishing and fly tying was coming into its own. We now had most of the criteria that was needed to formulate the book. John is doing a lot of research on the history of fly fishing in the salt and some of the flies that were used. This includes sea run trout and some of the flies are take offs of salmon patterns. 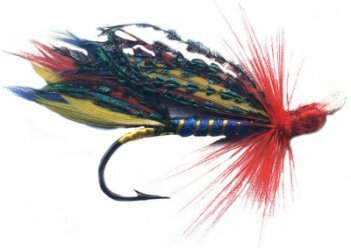 If you have read the article that Ken Bay sent me on the "Florida Cracker" you will see that it looks like a salmon fly but was used in Florida for reds and trout. At the time of its origins, about the only materials and tying styles around were for this type of fly. It worked and that was all that mattered. Most of Elizabeth Greig's flies are take offs of streamers and they worked as well. As we get further and further into putting all of this together, we are finding numerous people that knew some of the pioneers such as Joe Brooks and finding numerous patterns that played an important part in the evolution that we have never heard of. I was talking with Stu Apte and he told me that he was tying (commercially) a lot of bonefish flies in the 1950's and selling all that he could tie. This will certainly be brought out in the book. Jon Cave brought to my attention that the first stripper caught on a fly was documented in the 1700's. This book is going to open a lot of people's eyes, if they have an interest in this and should be the source for information on this subject. While there is a ton of information available, if you are willing to find it, we are attempting to put all of the significant information into one source. When I first started fly fishing in the salt, in the early 1970's, people looked at me like I was from another world. I was using a Scientific Angler's 8 wt rod that I built myself (my first one) with an old Medalist reel and a lead core line. I fished primarily around Cape Henlopen in Delaware. There was not a lot of information on saltwater patterns at that time so I just did some patterns close to some of the better streamer patterns. One of the patterns that I used was similar to the old "Thunder Creek" style of streamer. The rest were nothing more than an attempt to make a larger streamer to look something like some type of baitfish. We did not have the lead bar bell eyes back then so between the lead core line and weighting the fly with wraps of lead, they were a challenge to cast. Believe it or not but I met Lefty in 1974 and I had never heard of the Deceiver at that time. Of course, I was mostly doing my fly fishing for trout and Hickory Shad so I did not really pursue anything relating to the salt. That was my mistake but I still had fun experimenting. While some may dispute some of what we are calling a "Classic" fly, we feel that the patterns that we will be bringing forth in the book deserve to be called a "Classic". There are going to be some very new patterns in the book, but nothing newer than 2000 or 2001. With 3 or 4 years under the fly's belt, that is sufficient time for the pattern to prove its merit. Some of the patterns will depict a tying style, such as the Deceiver, and although there are numerous patterns that are tied in the Deceiver style, we will not have them in the book but rather some footnotes on those patterns. With people such as Lefty Kreh, Stu Apte, Bob Nauheim, Ken Bay, Al Brewster and numerous other pioneers in the area of saltwater fly fishing and fly tying willing to help with this project, I am sure that the book will be well received and a treasure trove of little known information about our love for fly tying and fly fishing in the "Salt". For those of you interested here are the addresses for some of the historical flies that I have on my web site: (Editor's Note: Sadly, Joe Branham's website no longer exists).